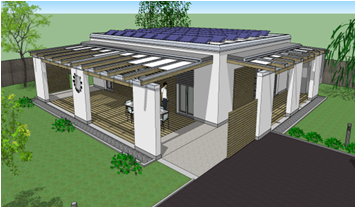 CASAUNICA® was established in 2007 to develop more efficient building solutions for builders and property owners alike. 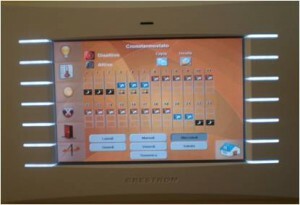 It has developed a system that contains the best and most modern concrete technology currently available. Our objective is to take into account Energy conservation, structural integrity, internal comfort, site safety, durability, speed – and not least economic investment. 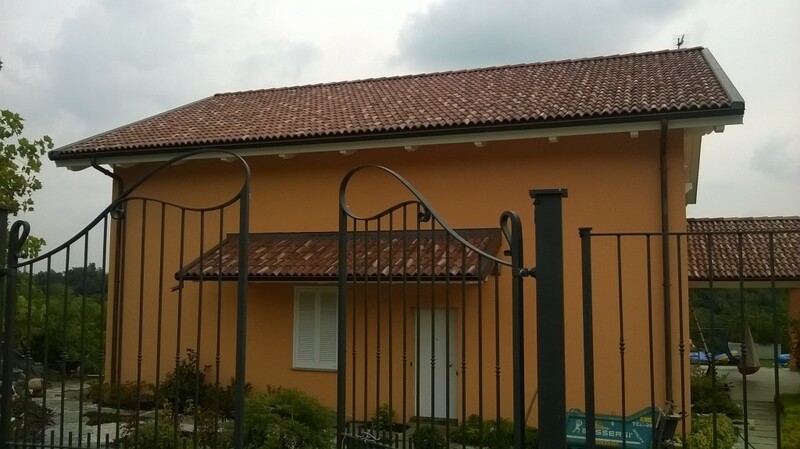 Using CASAUNICA® adds value to any seismic design, structural safety guarantee at the highest level; achieved through the use of UNI-KO® building system. All architectural designs can benefit from CASAUNICA ® harmonizing the regulations for both residential and commercial buildings. Our carefully integrated planning, complete with modern cutting-edge solutions has no limits. With guarantees from us leaves little room for doubt. All professional are “in-house” leaving little room for errors between the different trade professionals and incurring any problems derived from obsolete technologies and building systems – an in-house turn-key system considering all aspects of the construction process. CASAUNICA® provides property owners, investors, architects, construction companies and of course private individuals with a range of benefits and simplifications. 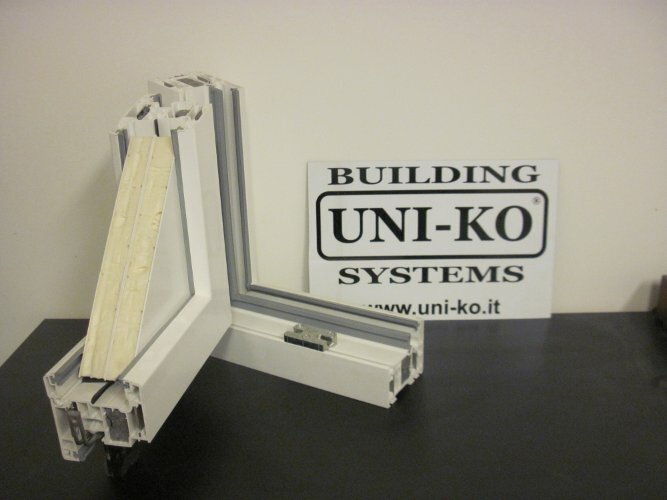 Using CASAUNICA® and UNI-KO® building system for commercial or residential buildings that can be built anywhere, adapting the building envelope to the local climate anywhere in the world. 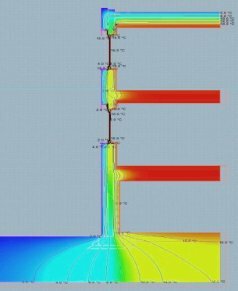 The integrated building design using CASAUNICA® is achieved using different advanced software such as BIM systems (for executive planning, management of supplies), TAS (for dynamic energy simulation), MOLD SIMULATOR (for evaluation of thermal bridges). 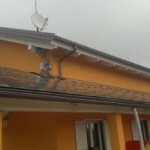 The combination of these methods when applied to any type of building be it, commercial, industrial. 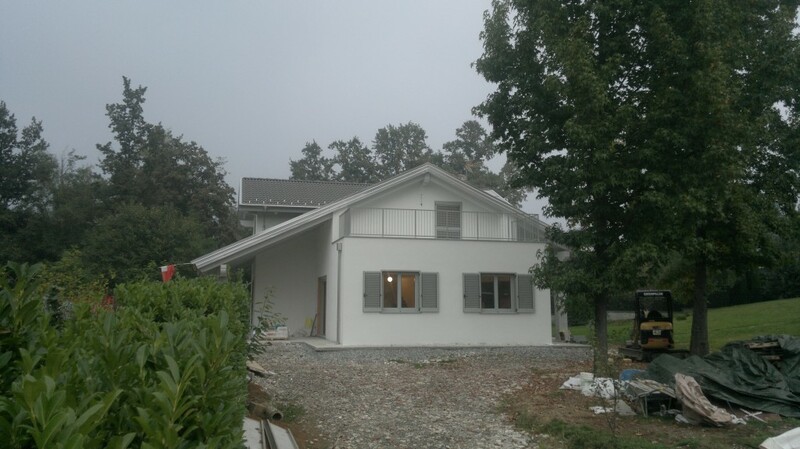 or residential guarantees the best passive house results. 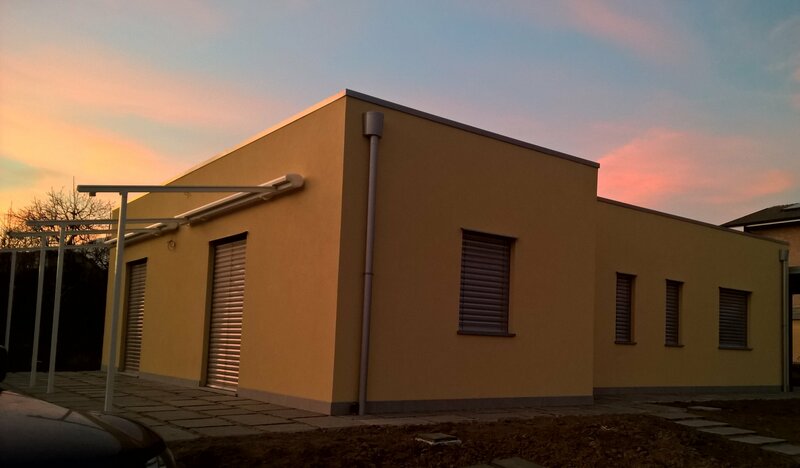 Life Cycle Assessment – comparing the results with different building systems, it shows that “grey” energy used during construction is greatly reduced using CASAUNICA® and produces an exceptional energy savings in the long term. 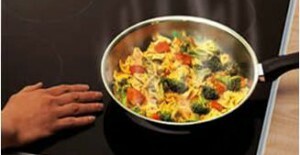 At the end of the CASAUNICA® life cycle (100 years) a large proportion (75%) of the materials used can be recycled. 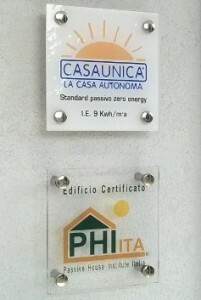 CASAUNICA ® is approved by the Italian Passive House Institute an Institute which evaluates the energy efficiency of the building envelope, analyzing the behavior of CASAUNICA® buildings by following proven scientific methods. Upon request qualifying passive house certification is issued to any CASAUNICA® building if required by the client. 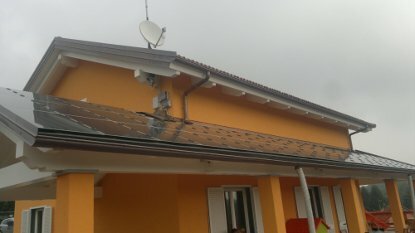 New energy regulations dictate the energy behavior of residential buildings: starting from 2020 new buildings must meet the characteristics described by the standard NZEB (Near Zero Energy Building), an acronym that defines the buildings next to zero energy requirement and fully met by renewable energy sources. 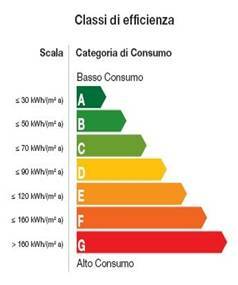 CASAUNICA® falls into this category of efficient buildings. 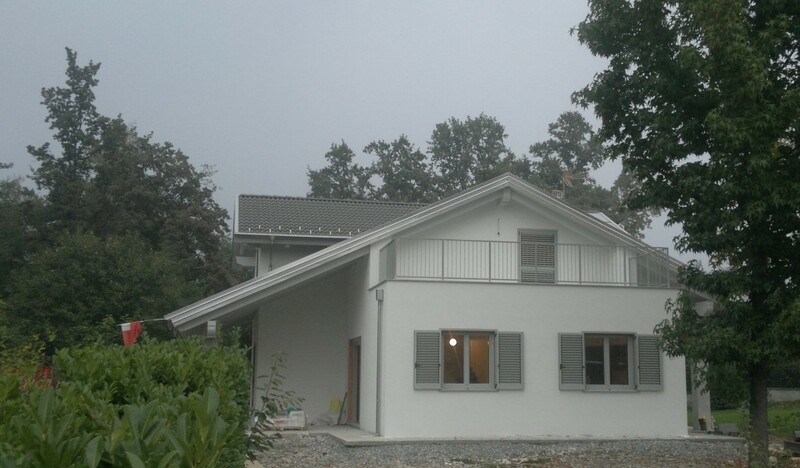 Passivhaus is the original German term indicating a home that ensures very high savings and comfort without any conventional heating system such as a boiler, radiators or similar systems. 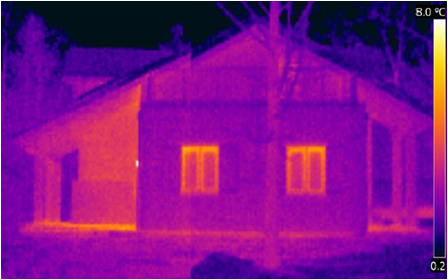 It is defined as the sum of the passive house solar and internal heat input generated from its operation are almost enough to compensate for energy losses in winter. 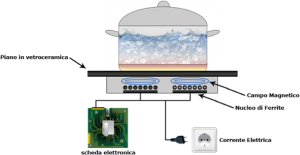 The amount of heat required to ensure ideal comfort is produced using heat pump systems with a consumption rate of energy produced by the photovoltaic system by optimizing the power consumption required. CASAUNICA® is the result of a modern design, attentive to every aspect of living comfort, savings, personal safety and the environment. 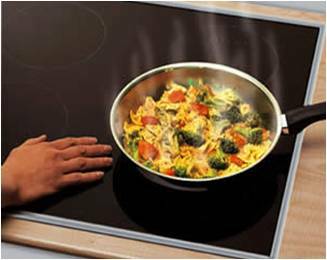 For example: adopting induction cooking technology instead of traditional gas cooking combines beneficial energy use with the complete elimination of health risks related to gaseous fuels in the home. 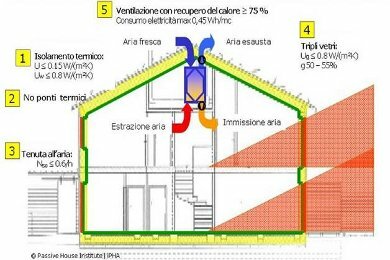 High structural integrity, exceptional energy performance, attention to environmental protection details thanks to the absence of polluting emissions results in safe technological secure building on a human scale, in which the conservation of energy becomes a smart lifestyle. 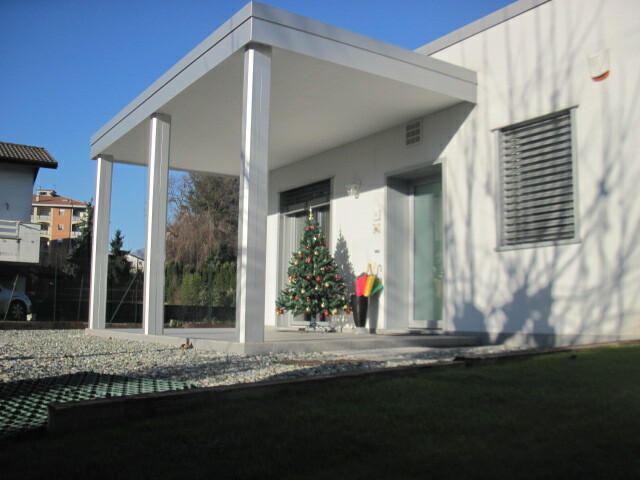 In the design CASAUNICA® buildings all climate data is considered, solar exposure an important aspect that allows for free energy gains from direct sunlight; exploitable in winter time but must be screened in summer. 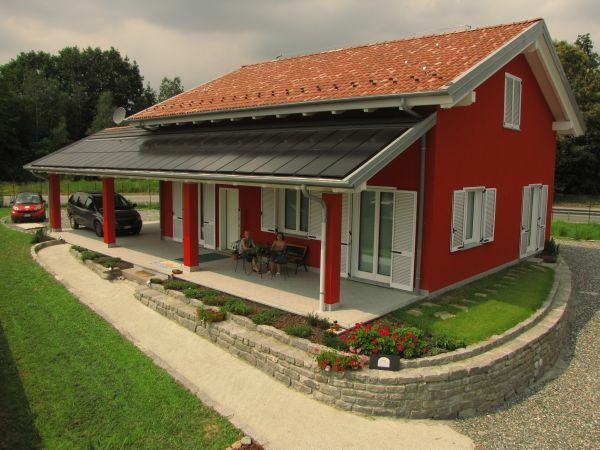 External solar shading systems fixed and active are utilized in CASAUNICA® buildings such fixed porches, roofs and not least automatic external shading systems. 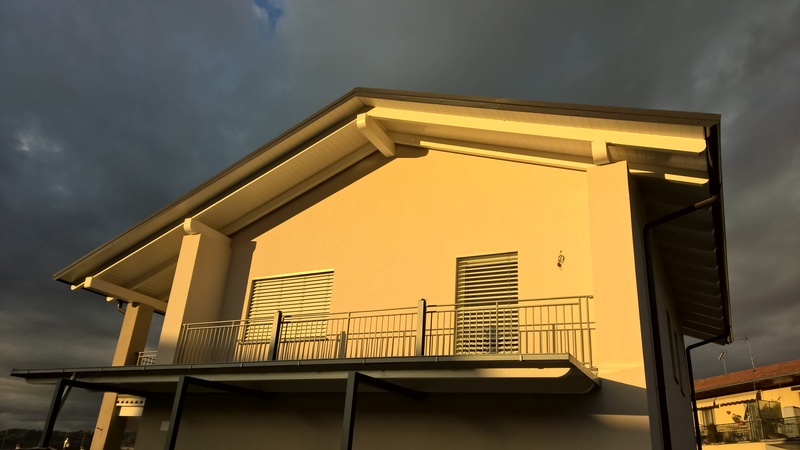 CASAUNICA® buildings use state of the art window and door components certified for passive house, client designed using various materials such as pvc, timber, timber with aluminum coverings. The careful selection of non cold bridging elements for the insertion of these external components are very important. 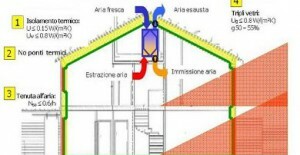 they guarantee the air tightness of the envelope and in turn guarantee the correct degree of insulation. 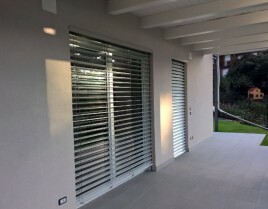 Using three seals and a latching system offer an ideal solution to any CASAUNICA® building. In addition to sealing windows are triple glazed with argon or krypton (Client choice) with sliding systems and use to a high degree’s film technology for solar gain and heat reflection internally. 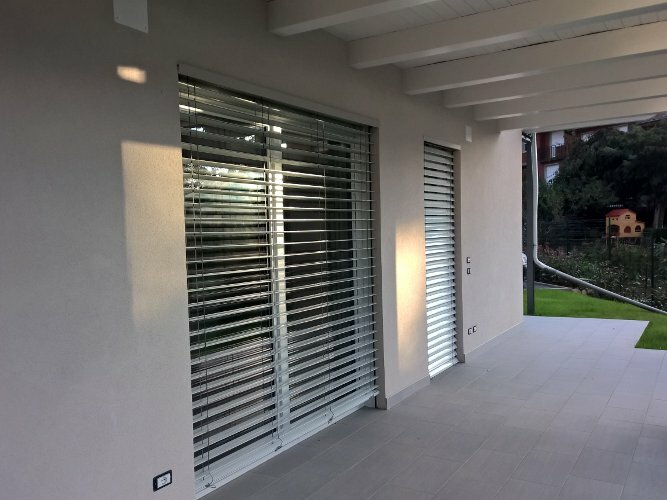 The Windows and doors can be made to any size and shape with numerable opening solutions including the standard “turn and tilt” function. 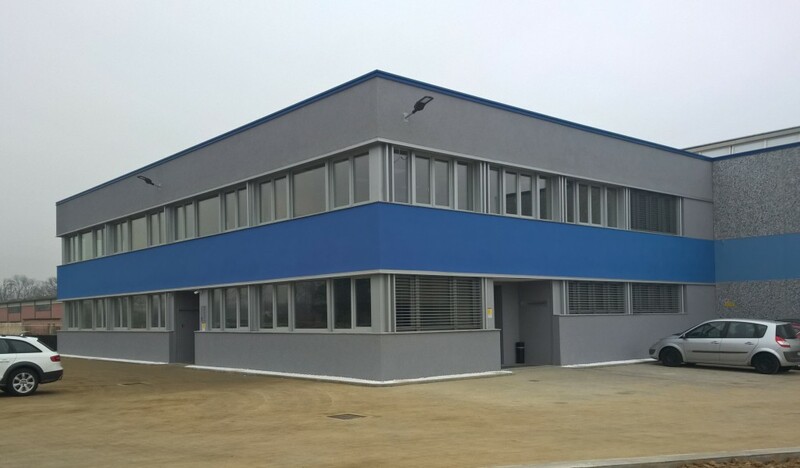 All for CASAUNICA® buildings. After the structure is complete and the windows and doors are inserted, the building is checked for air tightness using a blower door in accordance with ISO 9972, this certifies the correct installation of the windows and doors and that the building envelope conforms to the required regulation and there are no uncontrollable energy leakages. 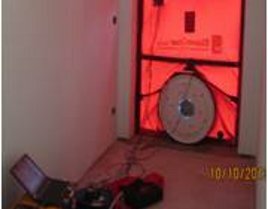 CASAUNICA® uses controlled mechanical heat recovery (over 90% efficient) ventilation system (VFT) with electrostatic filters; This ensures maximum air purity, absence of pollen, allergens and pollutants. 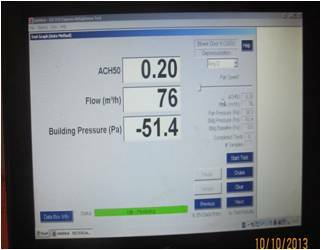 The constant air flow using a heat pump corrects the incoming air humidity and the temperature; offering summer-time air dehumidification in the building. 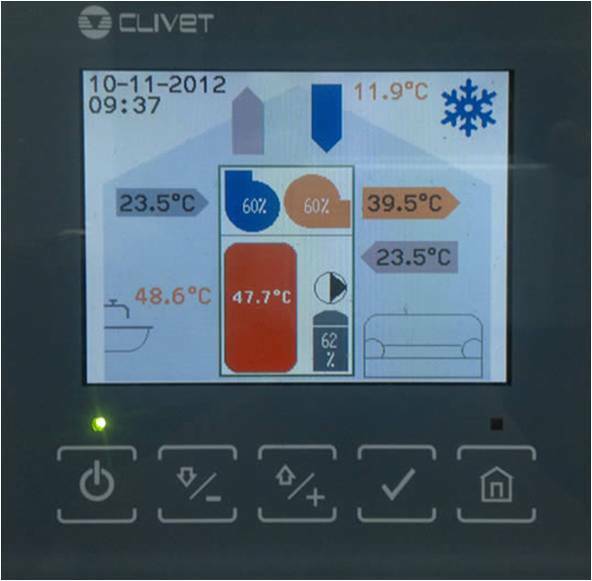 As a further advantage during the summer the system can be used for air conditioning using the heat pump in reverse. Hot water is produced at the same time; both efficient and powerful especially in summer. 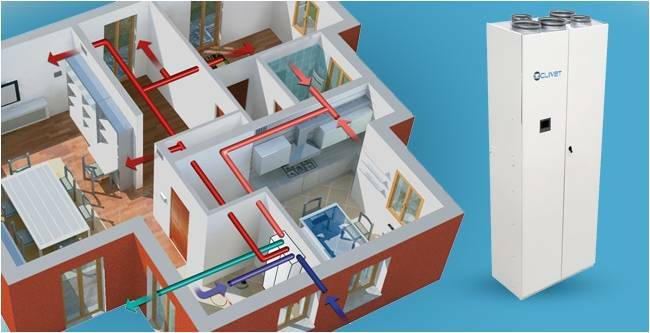 Thermal management systems for the internal environment in a CASAUNICA® building require the use of mechanical systems. CASAUNICA® has tested and approved the use of products manufactured by Clivet Ltd.
Renewable energy from the sun has unlimited availability and it is the easiest to capture and use. 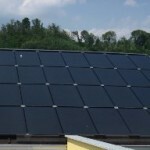 Using TAS software for orientation and maximum solar exposure CASAUNICA® buildings benefit primarily from thin-film photovoltaic panels of type CIS (Copper Indium and selenium) that allow the best collection of solar energy. Their sensitivity and performance guarantee the required production throughout the year even inclement. 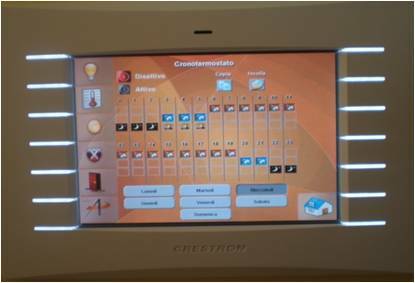 Energy is produced efficiently and controlled using renewable sources all controlled using domotics (automatic domestic management systems).